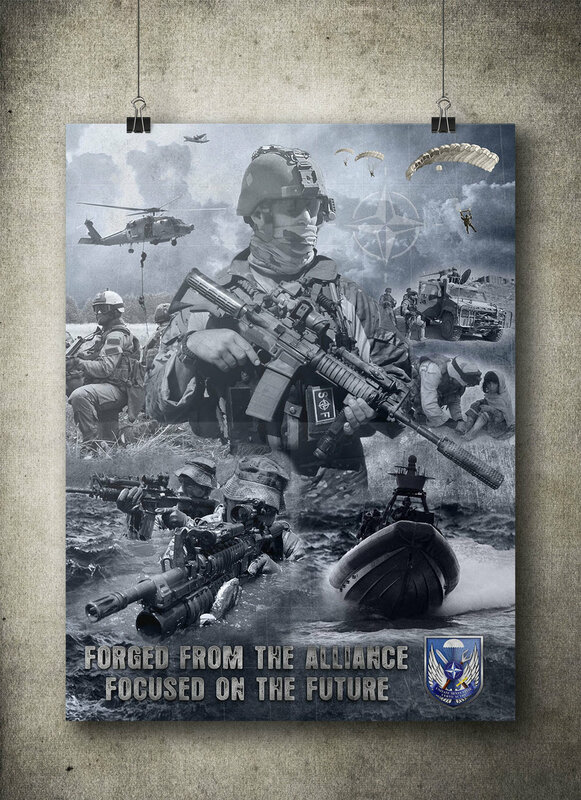 NATO Special Operations Headquarters (NSHQ) is the primary point of development, coordination and direction for all NATO Special Operations-related activities. 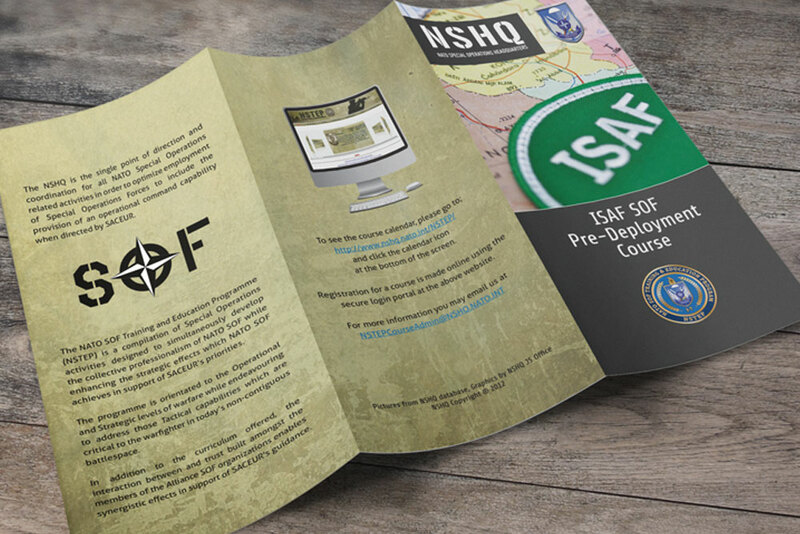 NSHQ is located in Mons, Belgium on the grounds of the Supreme Allied Headquarters (SHAPE). 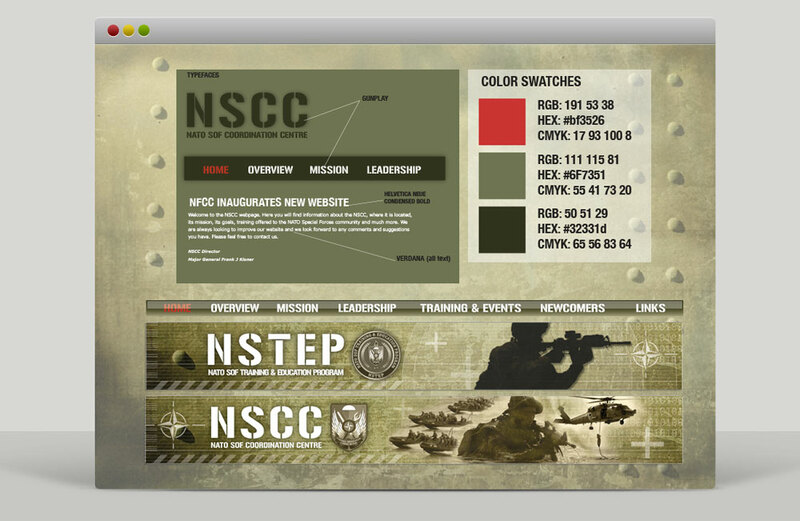 The original name was the NATO SOF Coordination Centre (NSCC) and was renamed NSHQ in March of 2010. 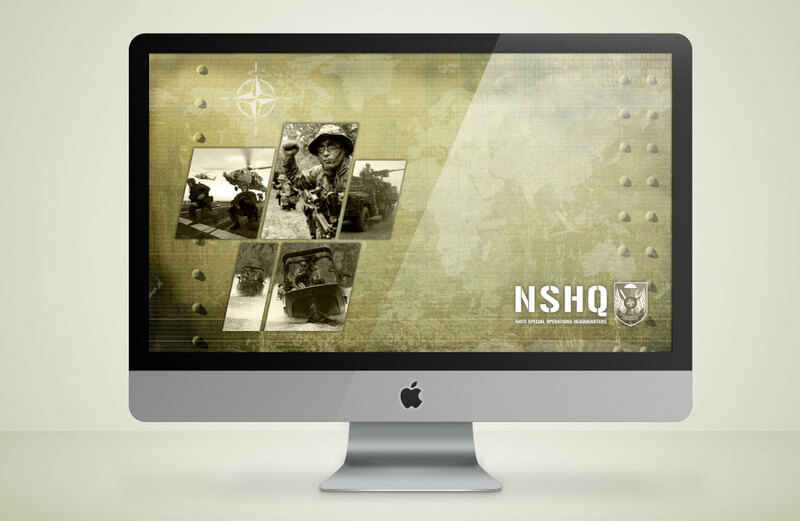 In 2008, the NSCC launched a branding effort to streamline and unify the overall message of the mission, while maintaining a look and feel in line with the culture and nature of the SOF mission within NATO. The "grungy", weathered graphic along with the stencil-like font were proposed and adopted, and it became the common elements for the initial website development as well as all printed materials. "Inside NATO's Special Forces network"
Content has been intentionally removed due to sensitive proprietary nature.